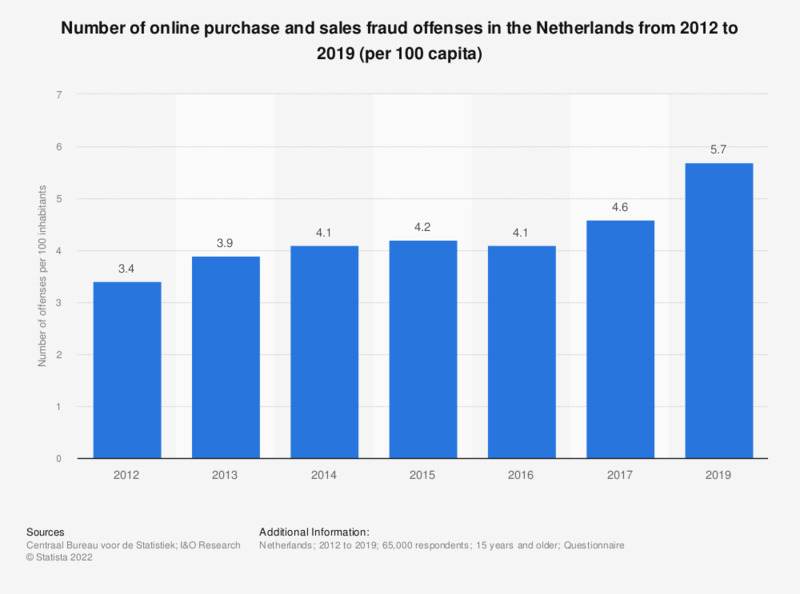 This statistic illustrates the number of online purchase and sales fraud offenses in the Netherlands from 2012 to 2017 (per 100 capita). As of 2017, nearly 4.6 out of 100 Dutch inhabitants have been a victim of online purchase- or sales fraud. * The source notes the minimal fixed net sample of the study consists of 65,000 respondents. The source defines cyber crime as: "crime which relates to the internet or other media carriers." The source notes the cyber crime offenses are defined as the share of respondents who were victim of a cyber crime in the 12 months preceding the survey. Purchase- and sales fraud is defined by the source as: "Internet scams when buying or selling goods. For example, because the paid goods were not delivered or delivered services were not paid for the delivered goods." Everything On "Cyber security in the Netherlands" in One Document: Edited and Divided into Handy Chapters. Including Detailed References. What are the precautions you use to protect your privacy on social media? In your opinion, how much does the use of social networks put our privacy at risk? How often have you experienced or been a victim of personal data fraud attempts? How concerned are you about being a victim of personal data fraud attempts via phone or email?